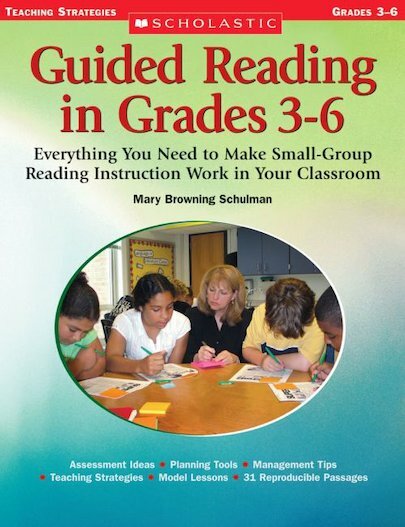 In this practical resource, veteran teacher Mary Schulman provides a step-by-step guide to guided reading in the intermediate grades. She demonstrates how to plan lessons, manage flexible groups, match students to texts, and use assessment to inform instruction. Transcripts of guided reading sessions show what this effective teaching practice looks like in action. More than 30 reproducible short texts, selected for their appeal to intermediate students, are included for teachers to use in their own guided reading lessons. For use with Grades 3-6.